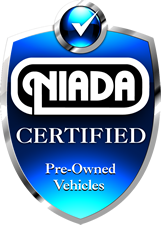 This is a NIADA Certified Pre-Owned vehicle. This means you’re assured that the vehicle has undergone a rigorous 125 point inspection:! INCLUDES NIADA CERTIFIED WARRANTY, RUNS AND DRIVES GREAT!